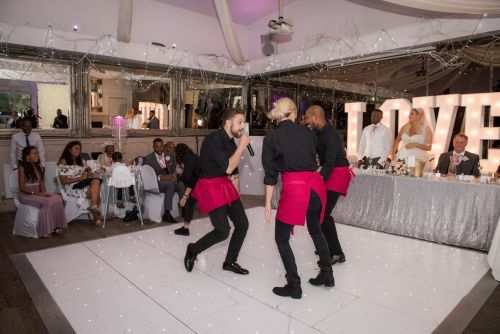 Are you looking to hire Singing Waiters to surprise your guests at your special event? 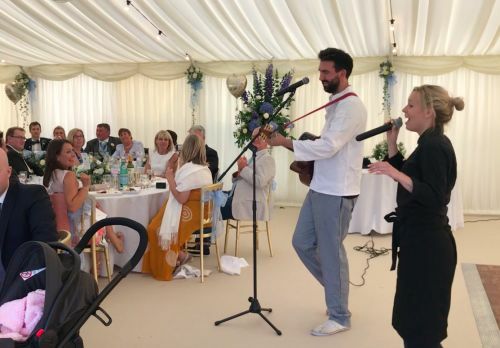 These singing waiters not only go undercover at your event, but when the surprise is revealed and they start singing, your guests will be amazed that they know everything about the event itself! 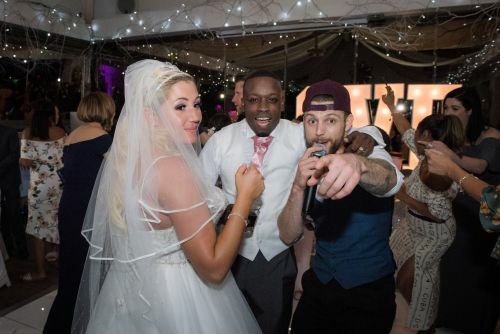 Hire our singing waiters and they will perform a medley of songs with lyrics rewritten to be about your guests - the happy couple at the wedding and how they met - the birthday guy/gal - or the CEO and his key team. Described as ‘clever, hilarious and completely unexpected’, our surprises also make the sweetest gift for someone not ‘in the know’! 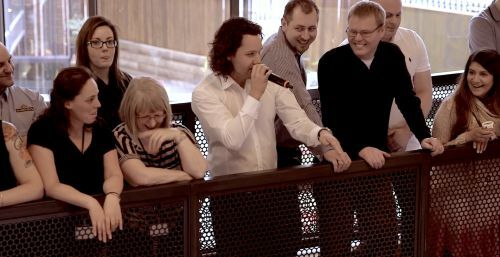 Guests will be laughing, singing along, and talking about the performance for years to come. 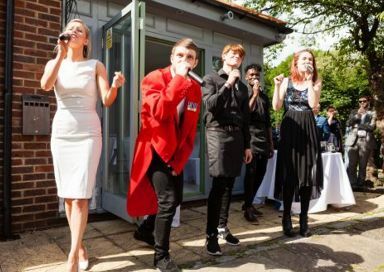 They provide a minimum of 2 singers for each event, and if 4 or more singers are booked, you have the option to make the performance acapella with beatboxing and vocal instruments - 'Pitch Perfect' style! 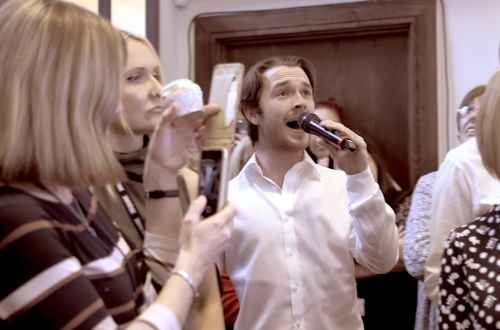 Previous clients include Manchester United, Holiday Inn, Dominos Pizza, Thomas Cook, Virgin, Claridges, Universal, and Richmond Sausages. 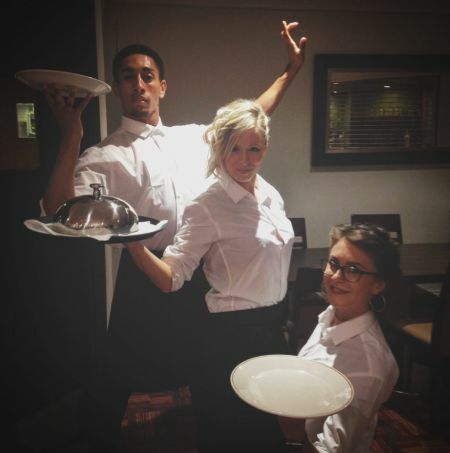 Team is based in London, and able to travel anywhere in the UK.